Just when the hostas, lilies, and other garden perennials are going to bed for the season, these bulbs are waking up. Arum italicum ‘Jet Black Wonder’ has unique black spots and pink- tinged flowers. Arum first emerge in the late fall. 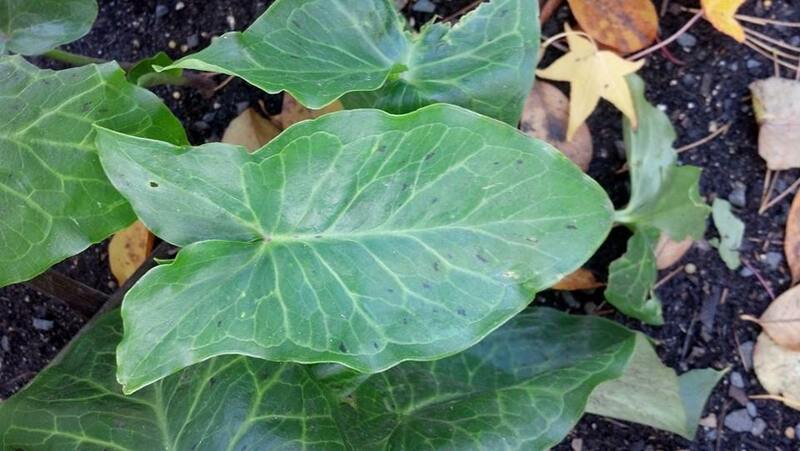 The broad, arrow-shaped leaves of Arum italicum are highly ornamental and sturdy—quickly perking up after hard freezes, providing a welcome spot of green in the winter garden. Throughout the winter, they remain green and full, providing a welcome burst of green in the winter garden. In the late spring, they send up creamy white flowers that resemble calla lilies (Zantedeschia sp). Soon after flowering, the leaves die for the season, revealing showy, fruiting stalks of bright red, highly ornamental berries. While these berries are quite attractive, do be aware that they’re poisonous and should be planted where they won’t tempt any children or pets to eat them. If located in an ideal site, they will reseed and form a ground cover. There are dozens of varieties, each with its own unique leaf patterns. Arum italicum ‘Mamoratum’ after a cold snap. 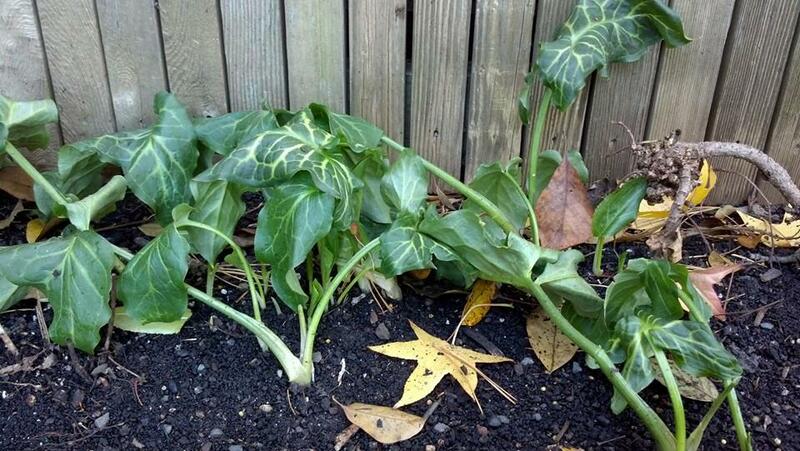 This is the same Arum italicum pictured above after recovering from the frost. 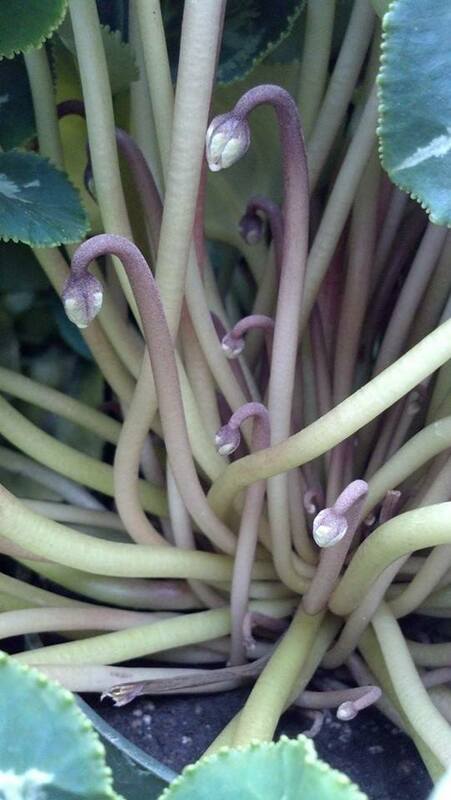 There are two primary types of cyclamen that are hardy in Chicagoland. 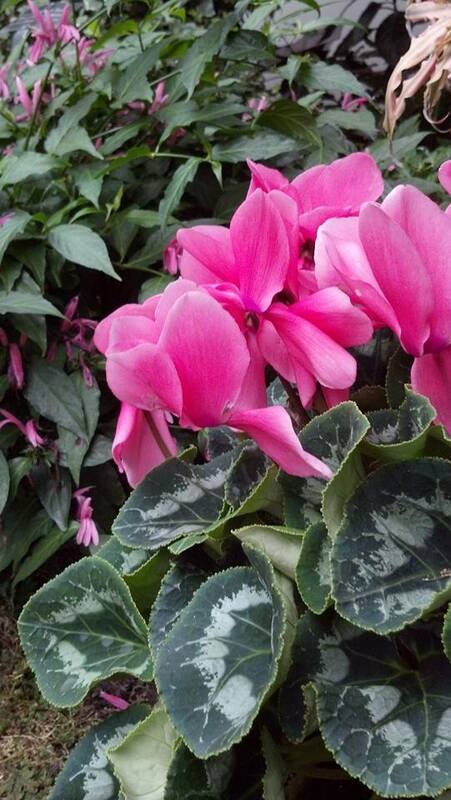 These are the fall-blooming Cyclamen hederifolium and spring-blooming Cyclamen coum. 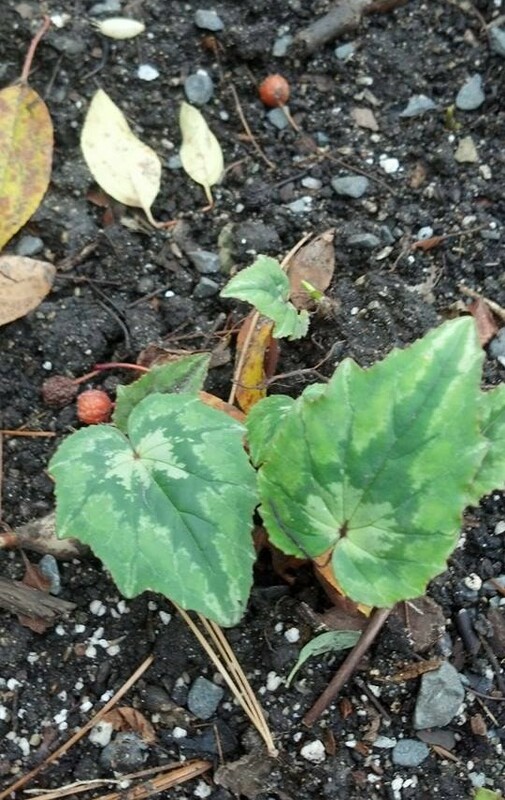 The fall-blooming Cyclamen hederifolium have ivy-shaped leaves with stunning silver patterns and small, windswept-looking flowers. 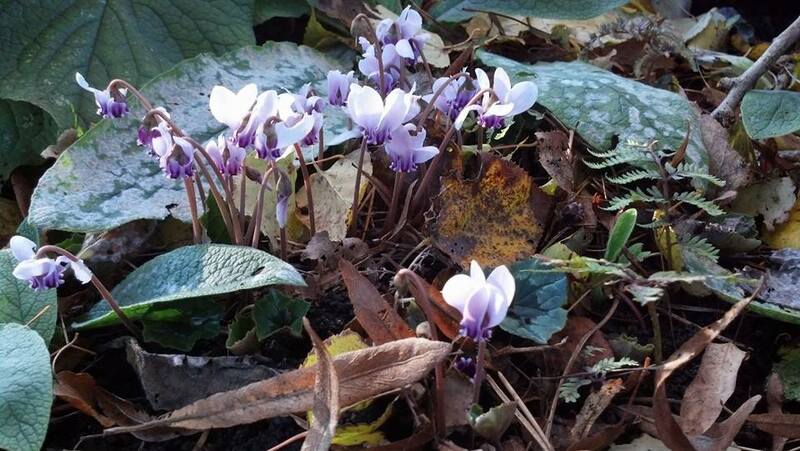 Cyclamen coum blooms in the late winter or early spring, and has heart-shaped leaves with silver patterns. 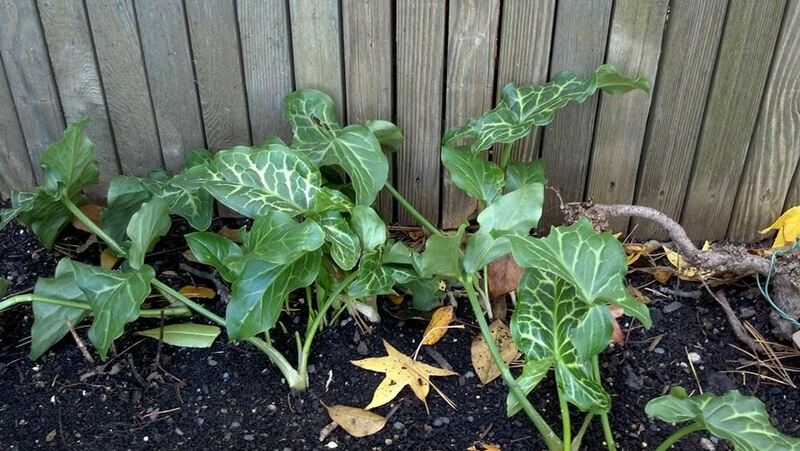 Both plants grow their leaves in the fall and carry them through the winter before going dormant in the spring. 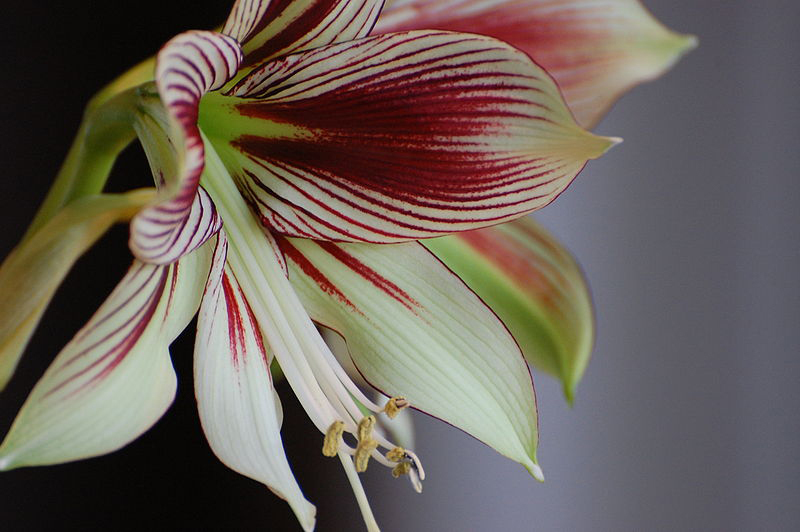 Their flowers range in color from pinks and lavenders to white. Cyclamen prefer a shady spot that doesn’t stay wet; otherwise the bulb will rot. A great place to plant cyclamen is under deciduous trees, where the leaf canopy will protect the dormant tubers from excess rain. If sited properly, they will reseed and form a ground cover. Fall cyclamen (Cyclamen hederifolium) blooming in Farwell Landscape Garden. 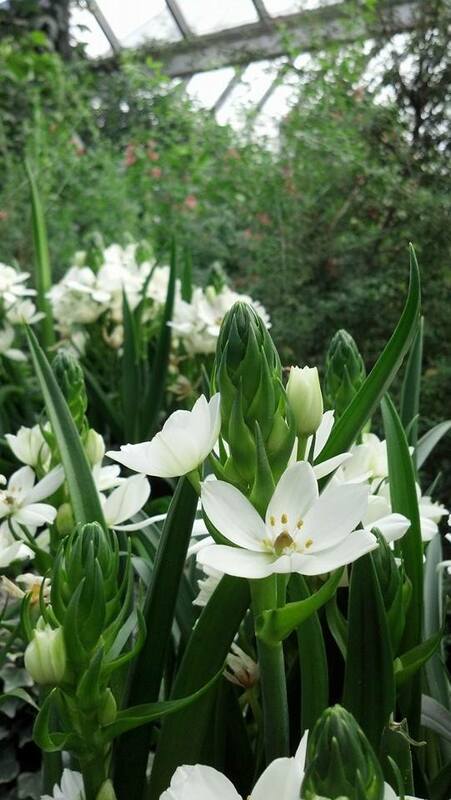 Among the latest-blooming bulbs are the often overlooked Allium thunbergii ‘Ozawa’ and A. thunbergii ‘Ozawa Alba’. 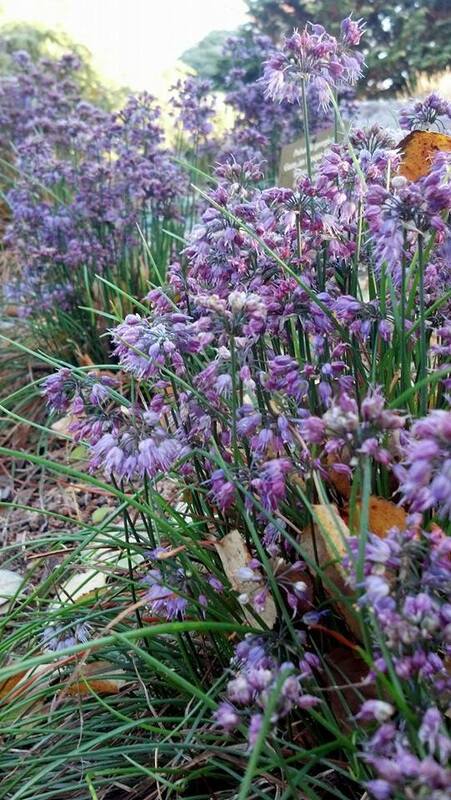 These relatives of onions form grassy clumps that look green and fresh all summer long and suddenly burst forth with small clusters of flowers resembling pink-and-purple lollipops in late October, often continuing until mid-November. (As of November 17, these were still going strong in the Farwell Landscape Garden, even after hard rain, several hard freezes, and a light snowfall!) 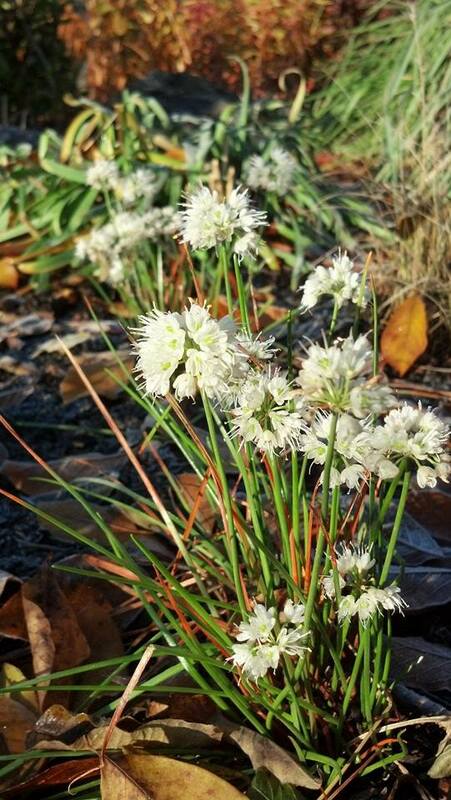 Allium thunbergii prefers to be located in a sunny, well-drained location, where it will continue to grow and thrive for many years. 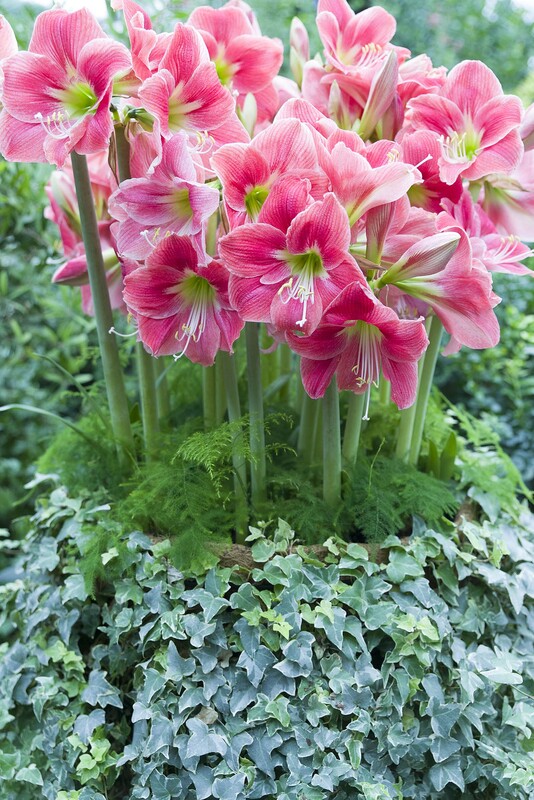 These are great plants for a sunny rock garden, where they provide a welcome shot of color at the end of the season.